On the back of the UK’s hottest June since 1976, staging a three-day ceramics fair called Earth & Fire never seemed more appropriate. Combine that with 120 makers bearing thousands of pots of varying shapes, sizes, colours and quirks and you’ve got the ingredients for an exciting event. 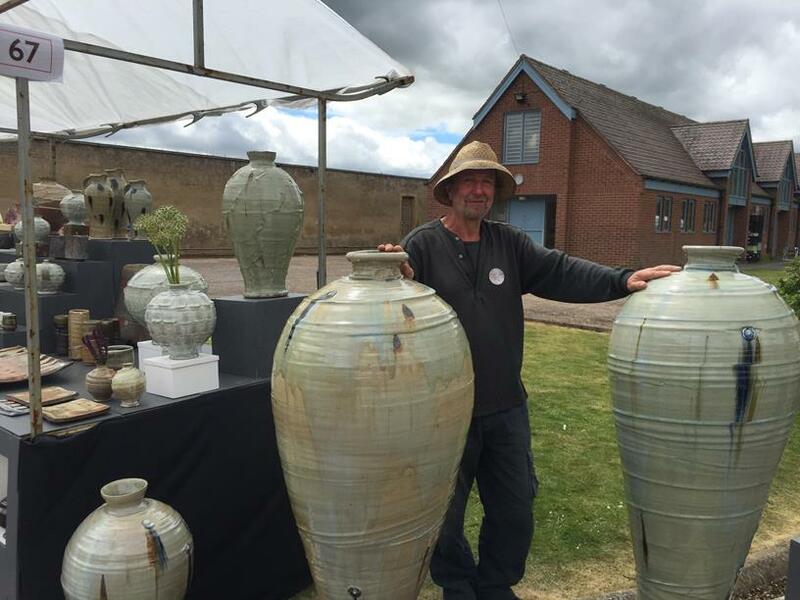 Earth & Fire has been running for over 20 years and is considered one of the UK’s most important annual ceramics events. The fair attracts a broad range of visitors including gallery owners, collectors, enthusiasts and the general public, presenting them with the opportunity to meet some of the UK and mainland Europe’s top makers while also offering a highly informative and interactive series of talks and demonstrations. 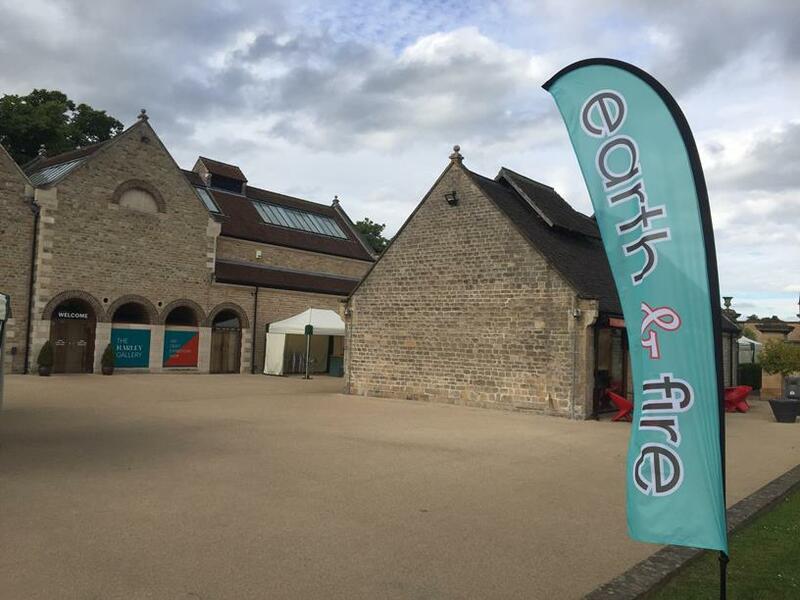 The 2017 edition of Earth & Fire was for the first time in its new location outside the Harley Gallery near Worksop: a beautiful site within the rolling North Nottinghamshire countryside. A long gravel path snaked from the entrance at the gallery across the estate towards the demonstrations hall, with exhibitors in white sheltered stalls either side. 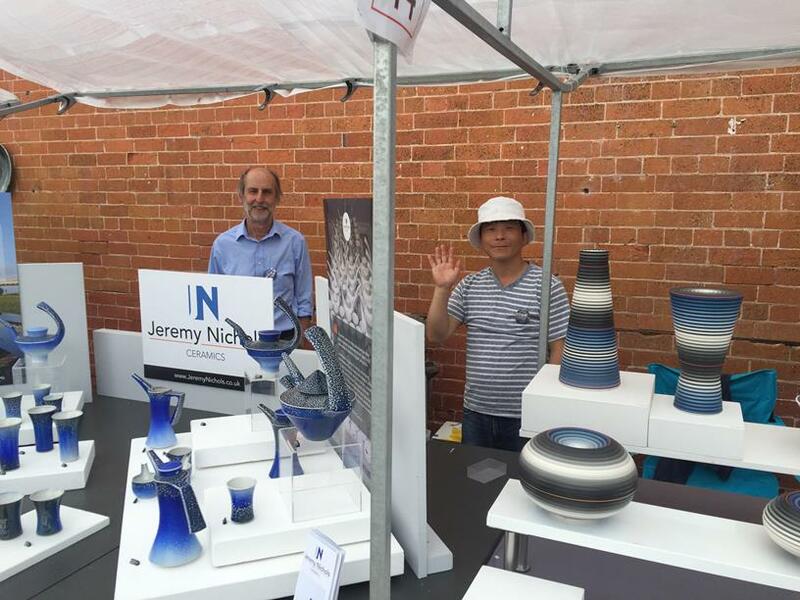 Despite the recent heatwave, the weather had unfortunately begun to turn by Friday morning, with strong gusts of wind passing through the estate, battering signs and banners as well as the sides of exhibitor stalls. Memories were inevitably rekindled of an incident a few years ago involving Peter Beard’s stand at Earth & Fire, which, it is fair to say, didn’t cope well with the wind. 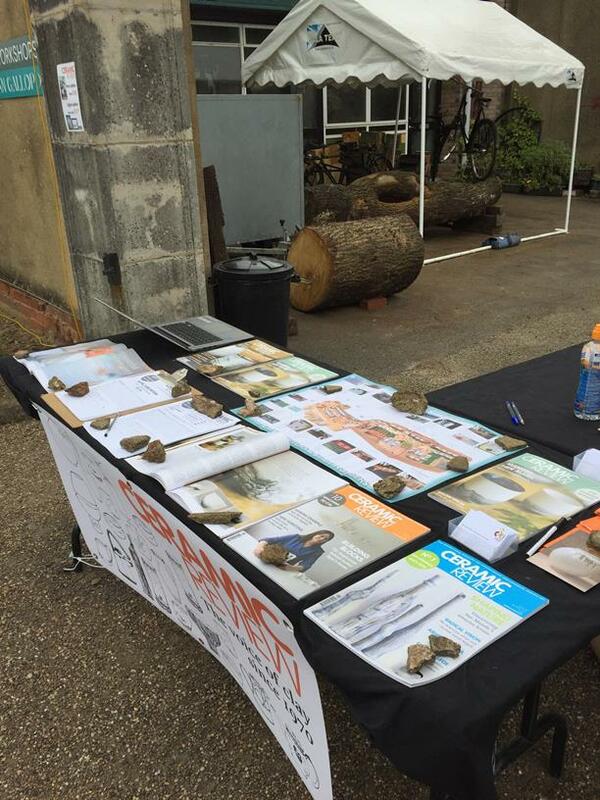 On the Ceramic Review stall, unsecured order forms were repeatedly thrown into the air, chased down by a hoard of staff and volunteers, such that by Friday’s end the only thing keeping the stand together was a collection of bricks and stones – turning it into less of a subscriptions table and more of an improvised rockery. It wasn’t going to take a little wind to put off the crowds however, and a number of makers had quite a successful Friday. Among them, Jeremy Nichols, Margaret Frith and Marcus Welch – covering for his father Robin – all benefitted from the various collectors who ventured out early to snap up work by makers they know well and from those they hadn’t yet come across. Other makers, such as Anna Mercedes Wear, had their best day on the Saturday, when the event was attended by more of the general public. Attracted by the live events programme as much as by the ceramics on display, visitors were treated to such talks as ‘Getting to know pots’ by author and CPA Council Member Alex McErlain, ‘Developing ideas with clay’ by potter Roger Lewis, and ‘A personal view of Japanese ceramics’ by ceramist Akiko Hirai, alongside many other talks. Anna Mercedes Wear gave a demonstration entitled ‘Slab-building cats’, on the Sunday – a talk, she said, which was attended by a man who spent most of the time asleep in the front row. He apparently soon redeemed himself, however, by going to her stand afterwards and buying some of her work. 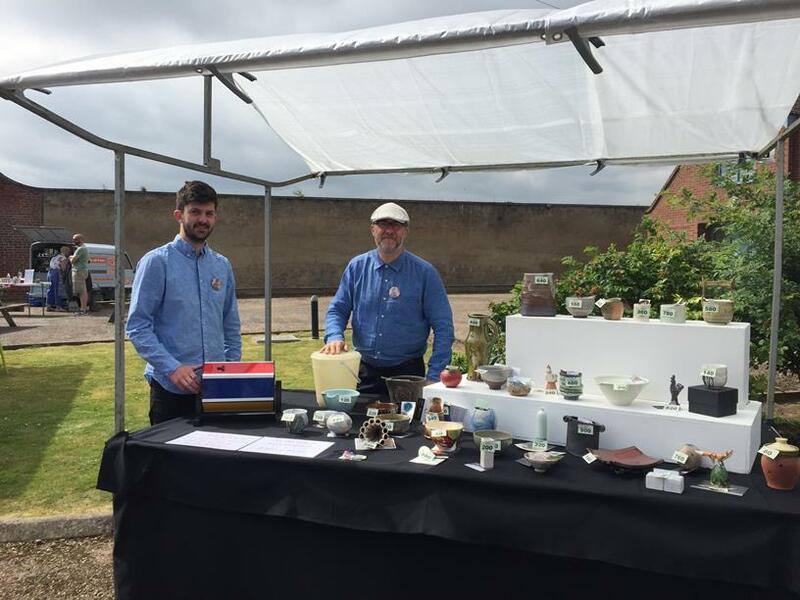 Other attractions included a tombola, run by potter Chris Keenan and a few others (below), which proved very popular among visitors. 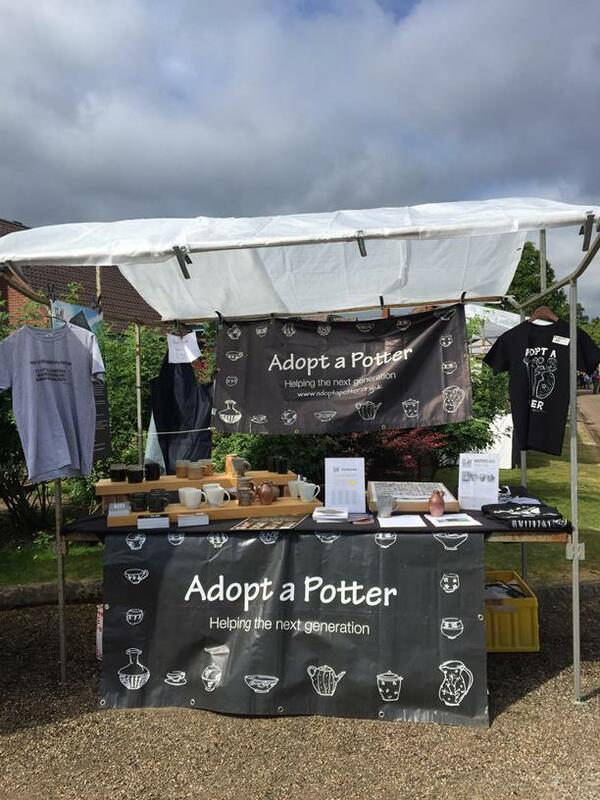 With takings going both towards the Adopt a Potter campaign and the Craft Pottery Charitable Trust, the exhibiting potters showed their community spirit by donating work to the tombola, which included such makers as Paul Wearing, Doug Fitch & Hannah McAndrew and Roger Cockram. Unafraid to ask people to cast yet another vote this year, both the potters and the visitors made a group decision on the winner of the Potter’s Potter and People’s Potter awards. There was – of course – much debate and a broad range of opinions in both categories. 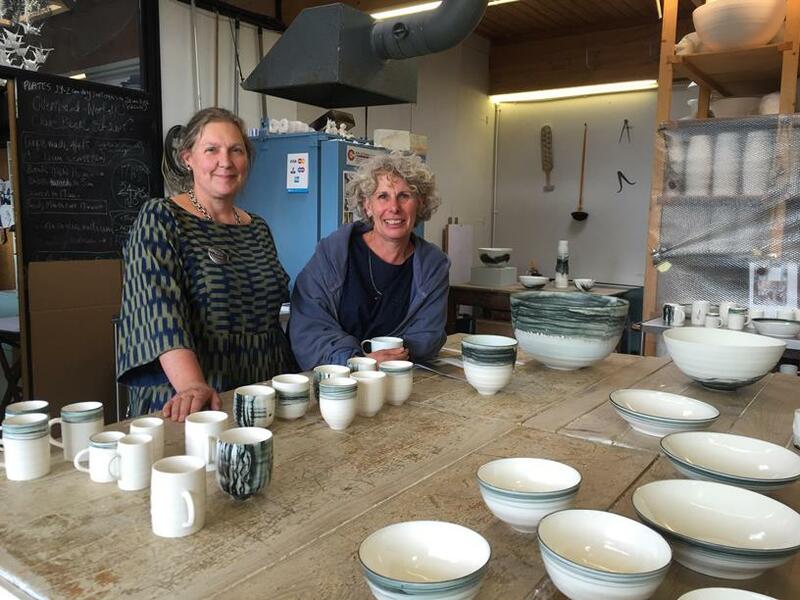 At the Ceramic Review stand we heard of votes cast for a diverse range of makers including Christy Keeny, Jean Tolkovsky, Patricia Shone and Fleen Doran. 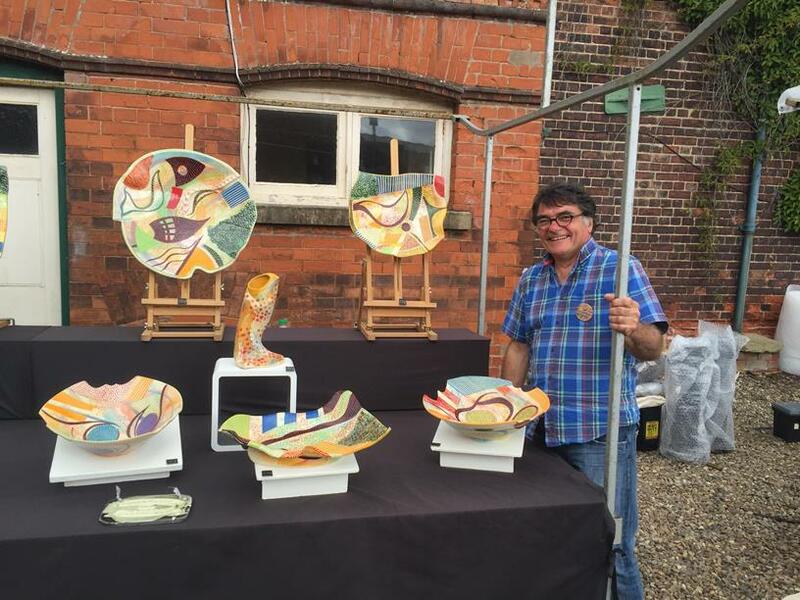 The winner of this year’s Potclays Potter’s Potter award was given to French maker Michel Cohen (below), whose traditional stoneware plates, bowls, vases and teapots proved a hit with the exhibitors. 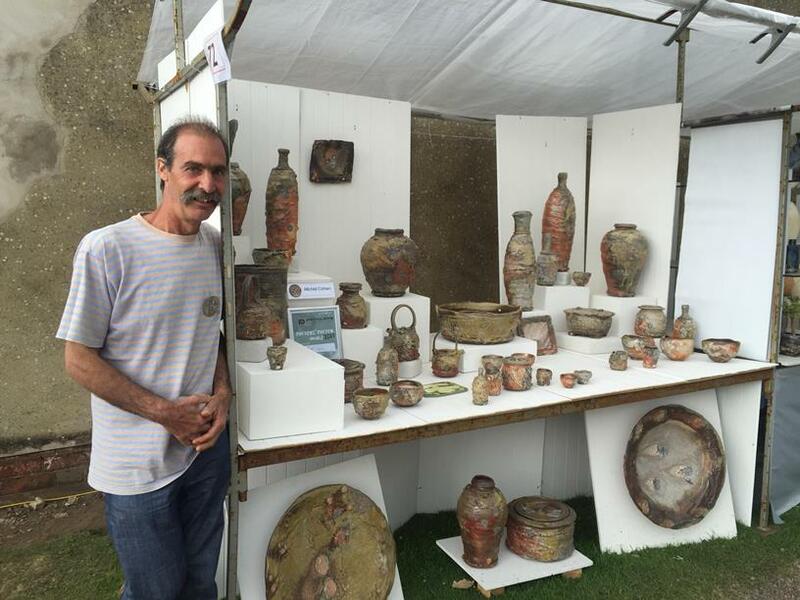 Jean-Paul Landreau (below) was the winner of the Potclays People’s Potter award. Also from France, although having studied at Harrow School of Art and spent time in Tregaron, Wales, before moving back to the small village of Le Vanneau-Irleau near La Rochelle, his brightly coloured and painterly designs caught the eye of many visitors. By Sunday evening, with the sun shining and the wind having died down, the makers began to pack up. The feel-good factor that presides over every Earth & Fire event remained firmly in place, despite the change of venue. Sue Cullen, who organised the fair, deserves much praise for her tireless effort putting it all together and the makers have already expressed their enthusiasm and excitement for next year.